David De Gea’s future at Manchester United remains far from secure, as the Spaniard is delaying signing a contract extension, supposedly due to the club’s consistent failure to match-up with the big dogs of England as well as Europe. The Red Devils are keeping their options open as well, as they have already begun scouting for potential replacements for their world-class shot-stopper. 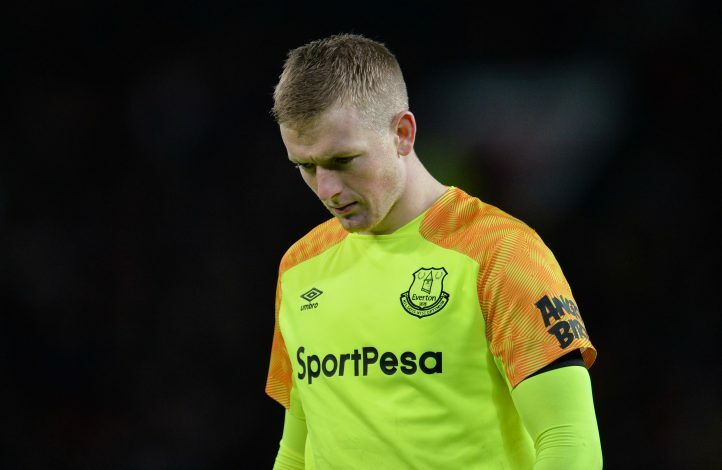 As per recent reports, the Mancunian giants had identified a goalkeeper from the Premier League itself as a probable successor, in the form of Everton custodian Jordan Pickford. The Englishman was not just impressive for the Toffees last season, but his performances also won him the primary goalkeeping spot in the Three Lions’ squad for the 2018 World Cup, wherein he excelled. His top-class displays have landed him on Manchester United’s radar, with reports from The Sun indicating that a £60m move could be on the cards if De Gea departs. Amid this speculation, former United right-back and current Sky Sports pundit Gary Neville has revealed what he thinks about the 26-year-old switching to the Theatre of Dreams. Neville first spoke about Pickford’s ability, as he stated: “I thought he was a risk before the World Cup. It was one of the points I was most nervous about. I actually think international football suits him a lot in the sense of the way the teams play. The decorated full-back then revealed what he thinks of Pickford being Manchester United‘s number 1, by adding: “He’s not my idea of what a goalkeeper would be. I always thought a keeper should be dominant.